The prevention of overdose deaths through the opioid-overdose antidote naloxone has become more common, especially in states that allow the acquisition of naloxone without a prescription. In the wake of the prescription drug epidemic and subsequent scourge of heroin use, in many states first responders have naloxone readily available. The World Health Organization (WHO) is recommending that naloxone availability be increased, estimating that it could prevent more than 20,000 deaths in the United States annually, according to Reuters. 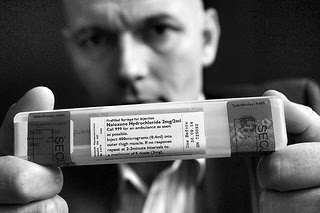 Time is of the essence when it comes to overdoses, seconds can oftentimes be the difference between life and death. Many overdoses happen at home, a family member is oftentimes a witness to the overdose and could administer naloxone, Clark noted. There are 24 states with laws that allow increased access to naloxone. Such laws allow doctors to prescribe naloxone to friends and family members of a person who abuses opioids; what’s more, the laws remove legal liability for prescribers and for those who administer naloxone.